Do you want to work with marketing? Our popular Marketing program is entirely in English and has an international intake. You will be studying in a group of students from all over the world and the program prepares you for an exciting career. Marketing entails many different things. Many think about advertising, but marketing is so much more than that. At the Marketing program we work with identifying and meeting the market. It concerns understanding the customers’ needs and creating, communicating and delivering value for the customer. As a marketer it is your task to fulfill the customers’ needs and sell solutions to the customer, in order to ensure that the company is making money and can develop new products, services and experiences. The semesters of the Marketing program are based on different perspectives and incorporates different subjects to give well-rounded understanding. During the first semester we start with the basics; the second semester takes on the perspective of the customer; the third semester takes on the perspective of the company. The fourth semester is planned so that you can go abroad as an exchange student to one of our many partner universities, which would give you valuable international experience. The fifth and sixths semesters we focus on meeting the market. The Marketing program is characterized by a high tempo and a mix of theoretical and practical knowledge. Please note that the program is given in English in it’s entirely. General entry requirements + Civics 1b / 1a1 +1a2, Mathematics 3b / 3c. Or: Civics A, English B, Mathematics C. Basic eligibility (with the exception of Swedish A/B). The program prepares you to work in both small and large companies. Our previous students work in different companies as marketers, marketing assistants, project managers or information/marketing managers. But you'll also find them in various PR- and advertising agencies around the world. The language of tuition is English. This way, you will prepare yourself not only for a national career but also for a career in international contexts. Further opportunity for internationalisation is provided through the opportunity to study a semester abroad at one of our partner universities around the world. As a student on the marketing programme, you have a unique opportunity to study your final year at Bern Fachhochschule in Switzerland. 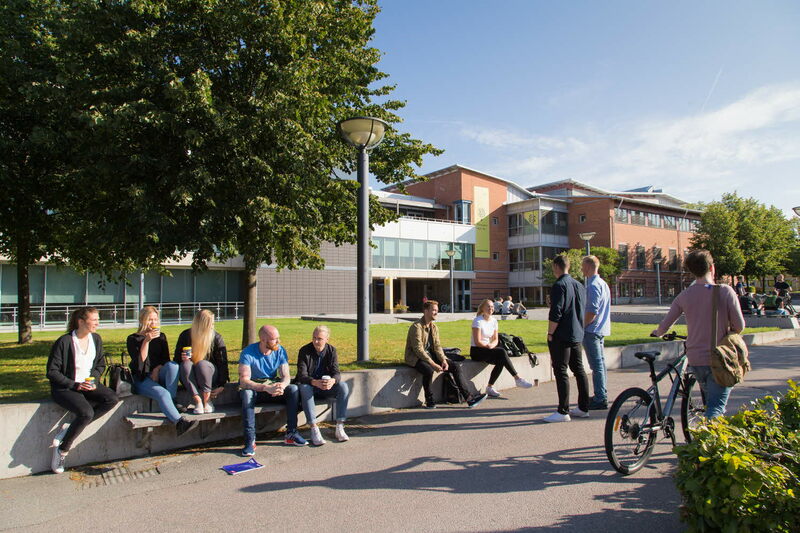 When you are awarded your degree, you will then get a “double degree”, which means that you can apply for your programme degree from Linnaeus University and for a general degree from Bern.